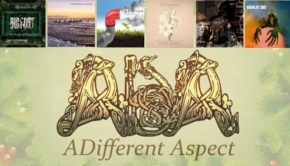 I have had this album at the top of the “to do” pile for a while, but as the Yuletide season of merriment was then upon us, it seemed entirely wrong to disrupt any warm festive glow you may have been feeling with a summation of a such a gloomy album. You see, I do care about you, dear reader. When I first heard Darkblue it struck a vague chord, but somehow repeated listens have only served to make this wilful record increasingly difficult to like. Transport Aerian is a Belgian one-man band, piloted by a chap who goes under the rather strange moniker of Hamlet Transportinae, a name that leaves itself wide open to attacks of punnage, if one is so inclined. The album operates within its own dystopian world, a particularly unwelcoming place. As an occasional follower of avant-garde music, particularly avant rock, that mere trifle would not normally have put me off, but repeated listens to Darkblue has driven me to the inescapable conclusion that it is somewhat less than the sum of its parts. It is patently obvious from Hamlet’s Bandcamp page that his music is not going to be a jolly rug-cutting affair, but instead is deadly serious in intent and execution, which of itself is not a bad thing. If there is not a sub-genre called goth-prog, then there is now, and Hamlet Transportinae is its Black Baron. 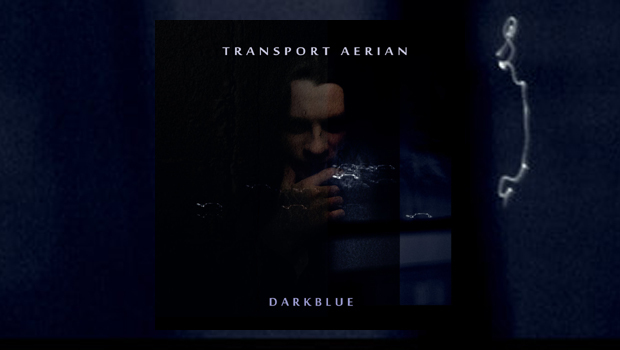 “Darkblue is a conceptual album, which is based on the surrealist Self-penned story of exile, self-isolation and love” (sic) is the weighty description on the Bandcamp page, and the album kicks off with Black, all doomy portent, imbued as it is with an almost thespian Gothic quality. I would imagine Hamlet is a fan of The Cure, and their smudged eye-liner miserablism. Full Body Access is full-on high drama and enlivened by the female spoken word and vocals of Rachel Bauer who has a fine voice, lending the tune a quasi-operatic air, and also rendering it a tad similar to Siouxsie and The Banshees with its Budgie-like tribal rhythms and minimalistic instrumentation. From here on, we descend deeper into the murky depths of the protagonist’s psyche. Some rather fine howling guitar permeates Imperial, as our anti-hero has found love, a love to be used as a security blanket to keep out the cruel world, but even that was in the past. It has to be said that this is not an album to put on if you’re feeling down, as you may never climb out of the despond of self-pity. You can see why I did not want to have this review published in the run up to Xmas! Instrumentally, Hamlet is no slouch, with a preference for dark ambience often embellished with a metallic sheen that sometimes sounds like a less commercial take on mid-period Porcupine Tree, but without the tunes. ‘Cinematic’ is a handy and admittedly overused adjective, but it fits the likes of Sniper just fine. The guitar solo at the end of Epitaph is rather good, too. The main problem I encounter with Hamlet’s music, or as I am sure he sees it, art, is that he appears to try far too hard to divest meaning into every single nuance of his work, and maybe takes himself a little too seriously. Scott Walker, an artist who has slowly but surely descended into the wonderfully atramentous mire where we now find him, has earned the right over nigh on fifty years in the music business to do what he damn well pleases, and during his incremental fade into wilful obscurantism has become ever more erudite and literary. Not only that, but Scott displays a sense of self-awareness and no little humour, albeit of a very black variety, something entirely absent here on both counts. Although not on the same rarefied intellectual plane Hamlet seems to be striving for similar artistic depth to Mr Engel, but to this outlier at least, seems to have arrived fully formed on the seventh ring of Hell, scampering after Scott who is already disappearing over the brimstone horizon in the fiery distance. As such, Hamlet’s music is very difficult to get into, and could easily be interpreted as pretentious. I could be entirely wrong, but that’s how I see it, and I am not about to write some fake semi-praise in the name of worshipping the sacred artist, a trait displayed by far too many amateur scribblers. You can almost see those writers’ mental anguish as they ponder how to praise, when all they really want to do is say what they truly feel. Most take the easy option and choose not to write about anything they do not get on with, ever. That compromise results in way too much very average fare being praised to the high heavens these days, and I’ve never been one to sit on the fence. Honesty is the best policy.